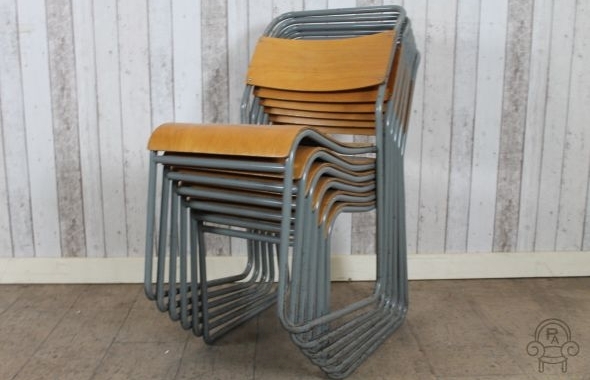 Please note, this listing is for one stacking chair only. 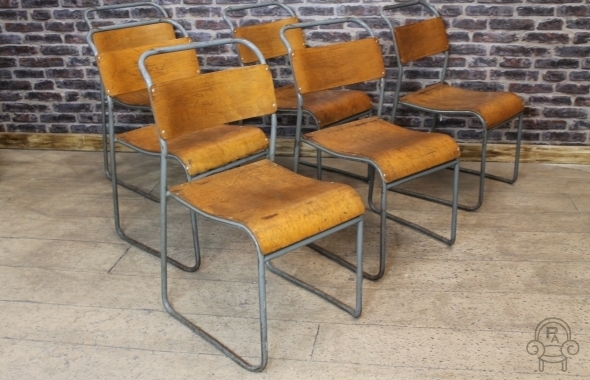 These original vintage industrial chairs are very sturdy and feature grey painted frames and a curved wooden seat with and back supports. 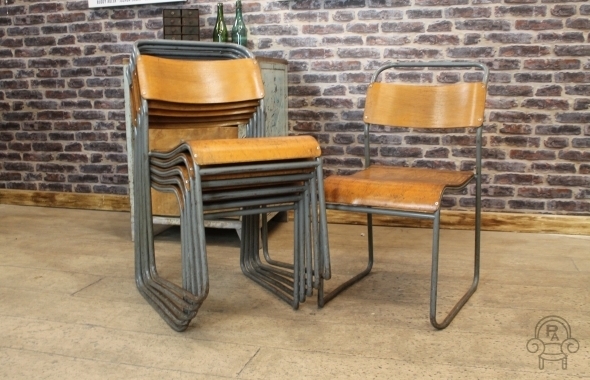 Theses chairs would be very useful in any dining room or kitchen, as they conveniently stack for added space. 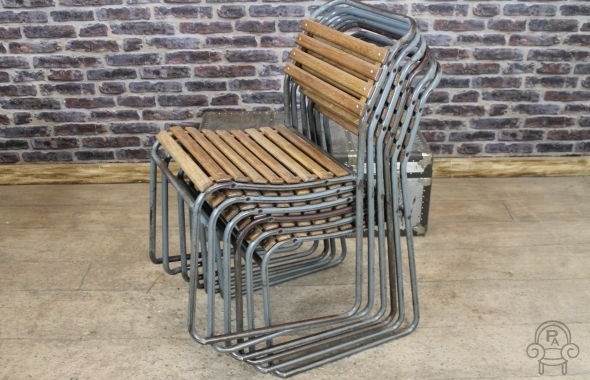 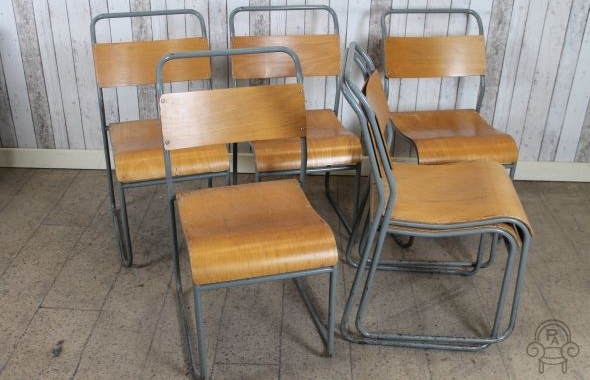 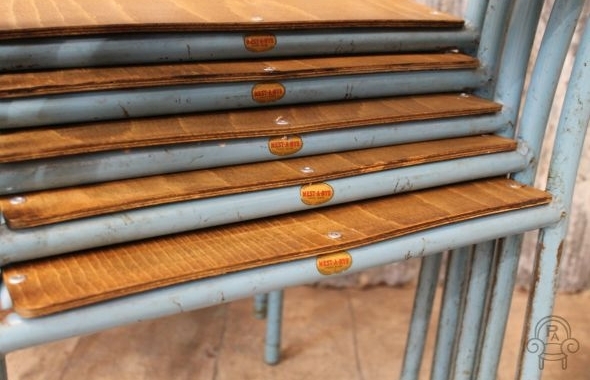 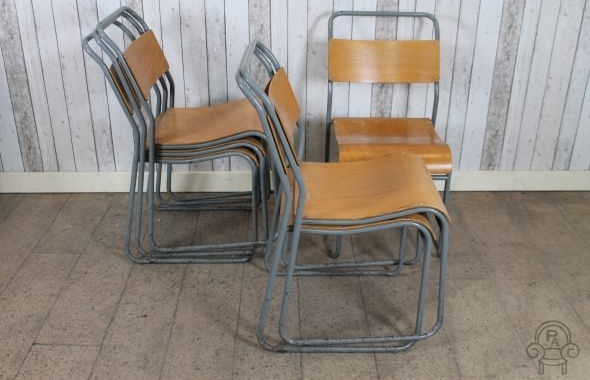 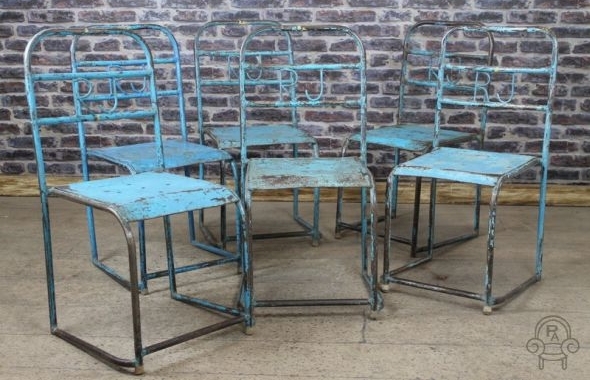 All of these original stacking chairs are in a good condition and they have no breaks to the steel work. 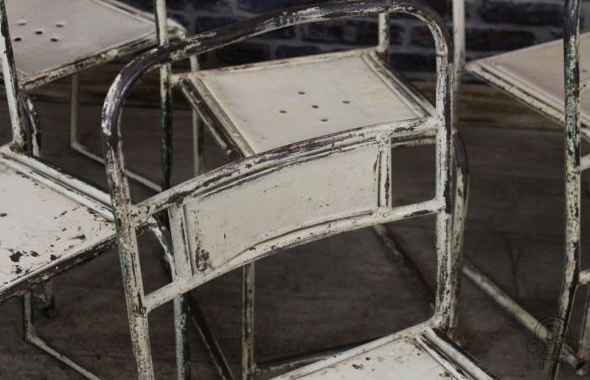 may have some marks to the paintwork and general wear and tear to the seats, which we believe only adds to the character of the chairs. 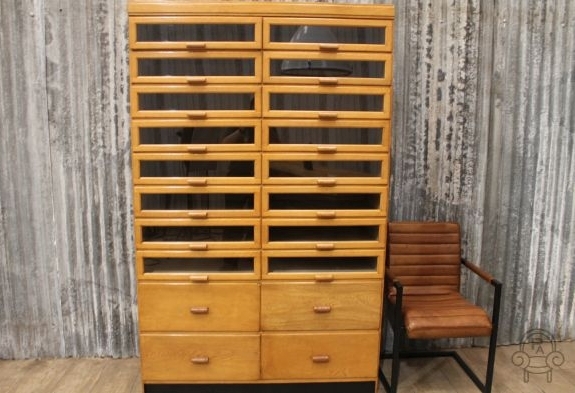 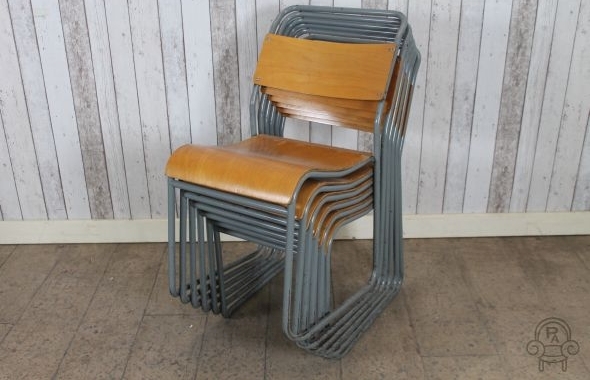 This listing is for one chair but we do have more in stock. 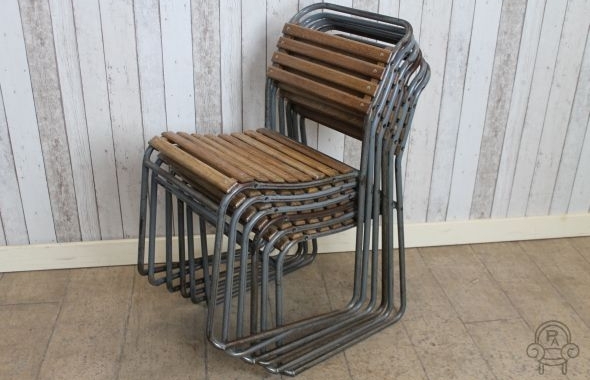 We have a wide variety of stacking chairs available, view our other listings for more information. 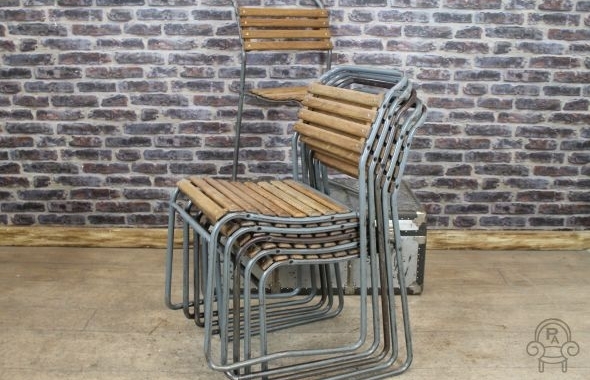 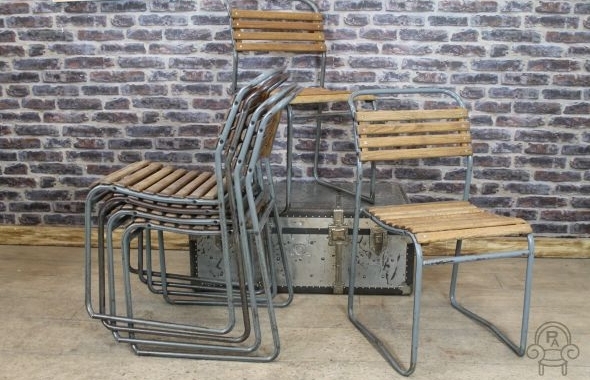 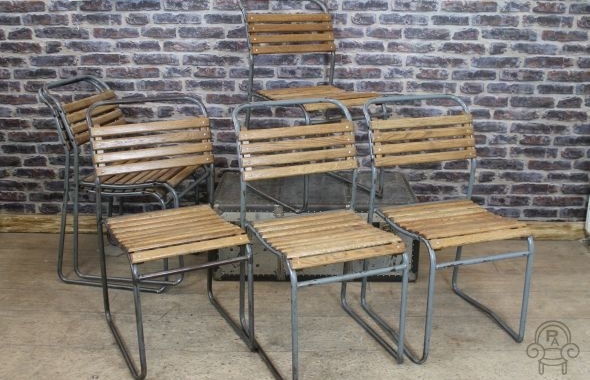 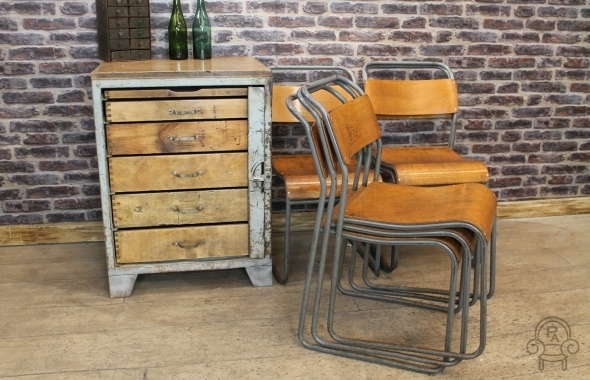 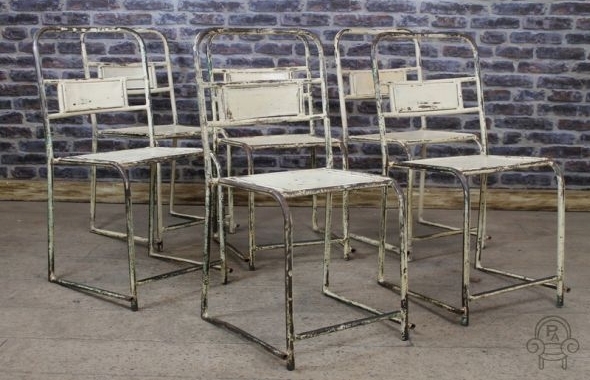 These authentic vintage industrial metal chairs are a great addition to our vast collection of vintage and industrial style furniture. 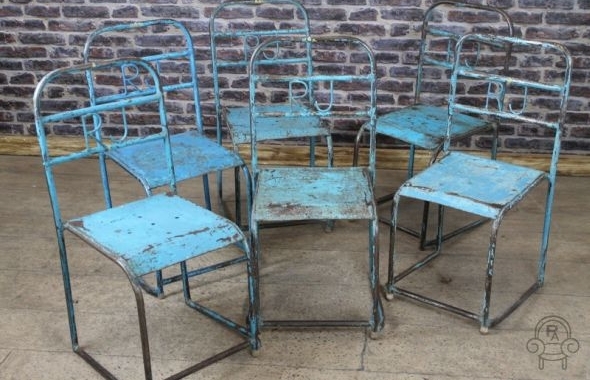 We have a large quantity of these light blue stacking chairs available and they can be purchased individually or in sets. 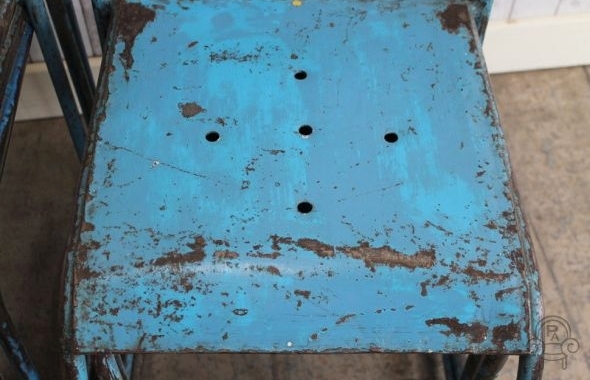 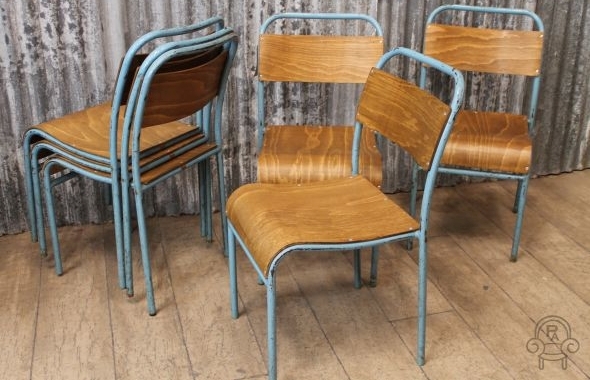 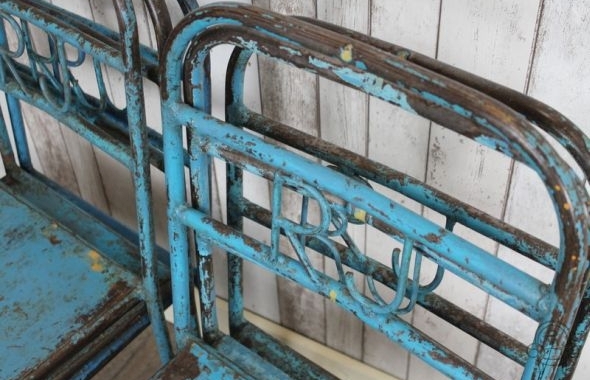 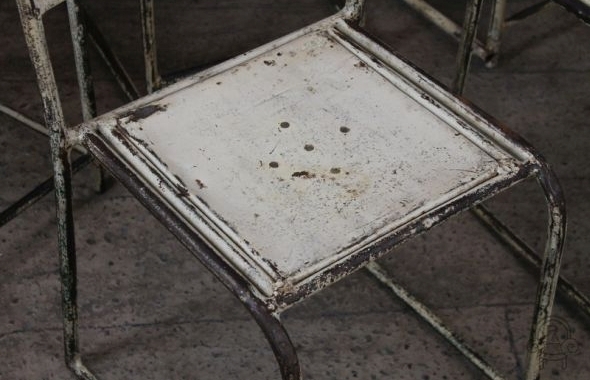 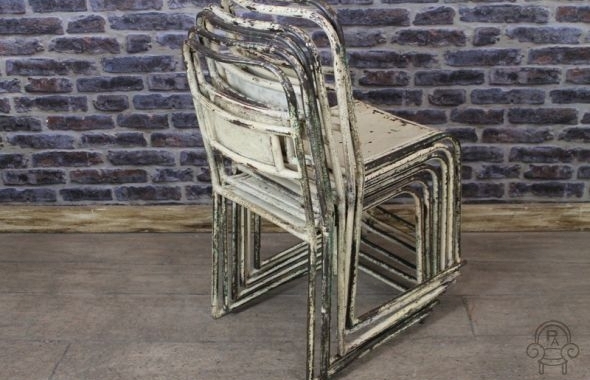 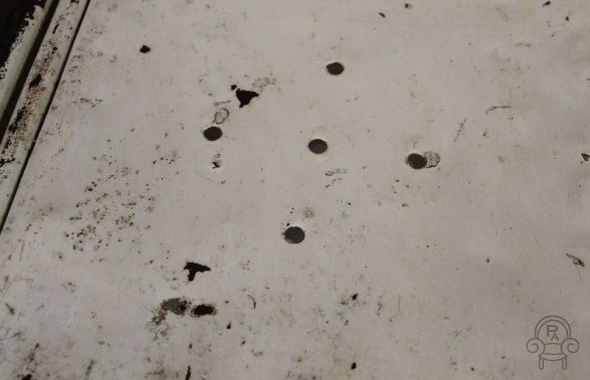 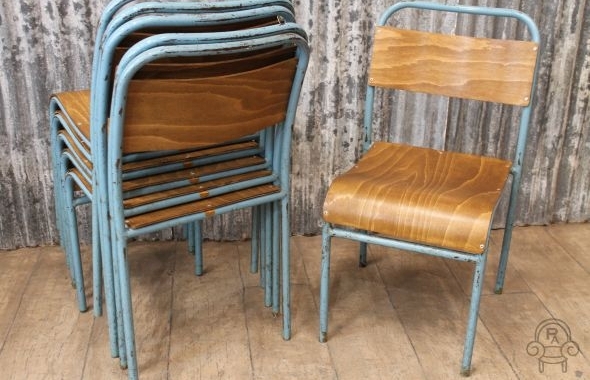 All chairs show some signs of wear and tear, damaged paint work and spots of rust; giving them a really original look. 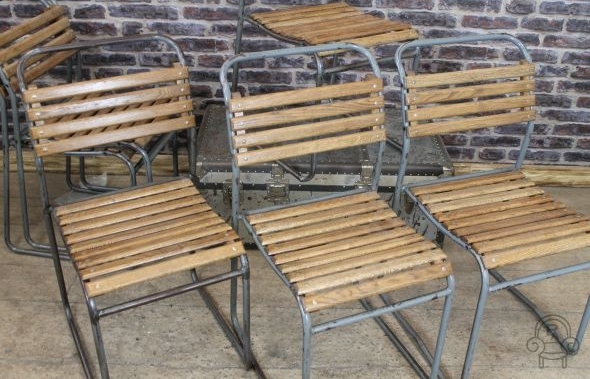 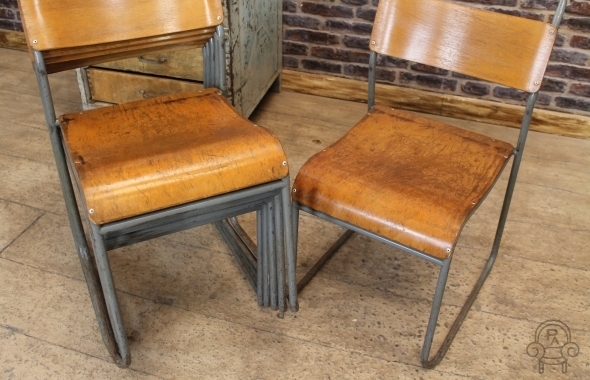 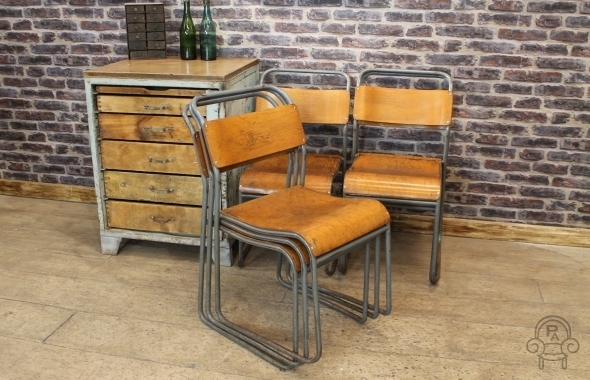 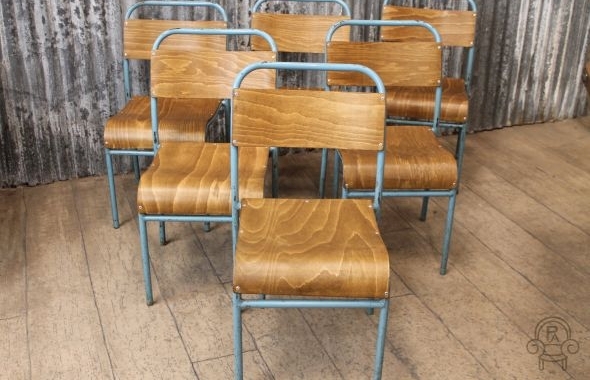 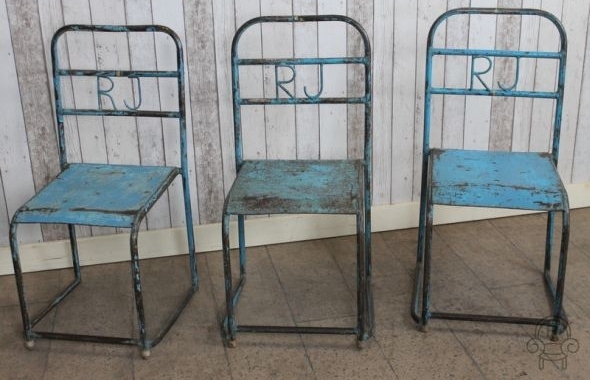 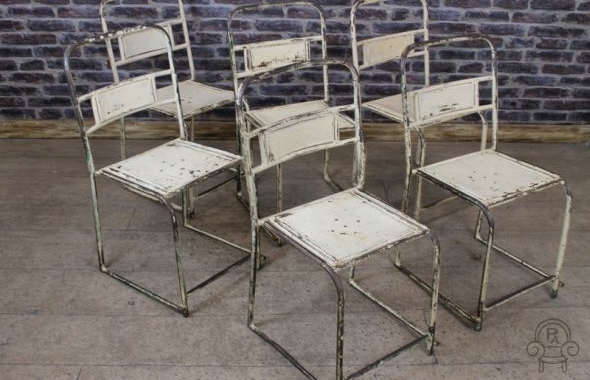 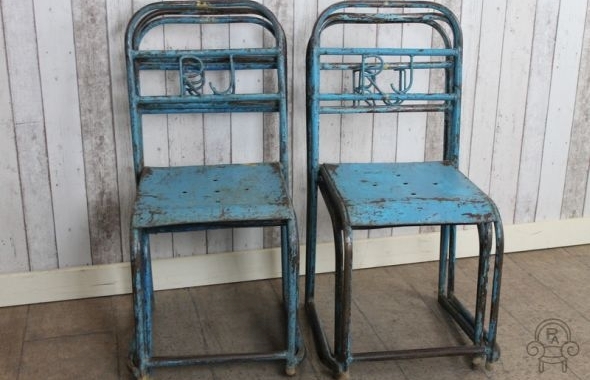 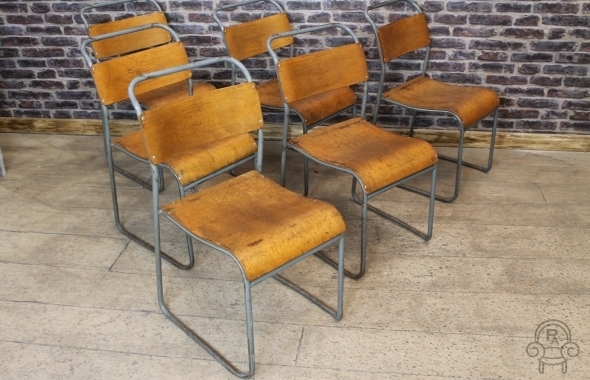 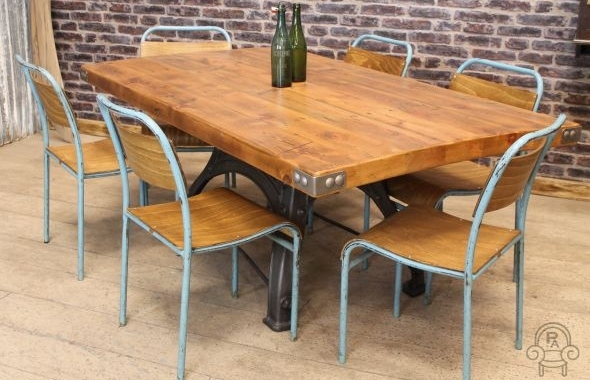 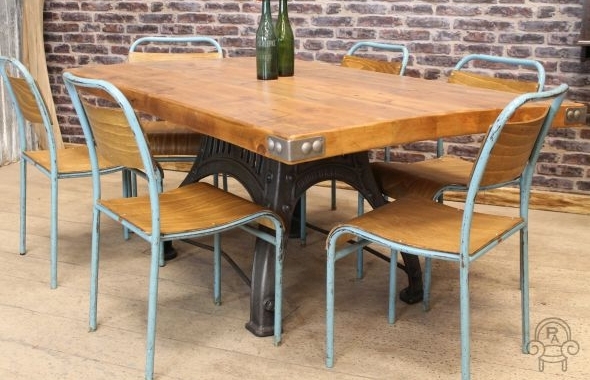 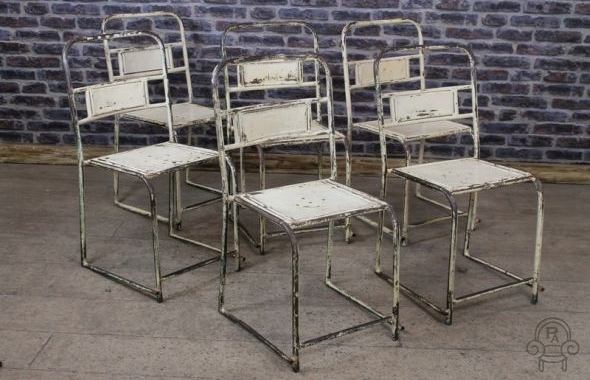 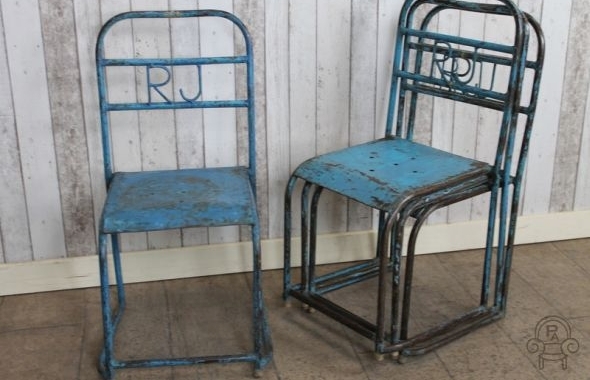 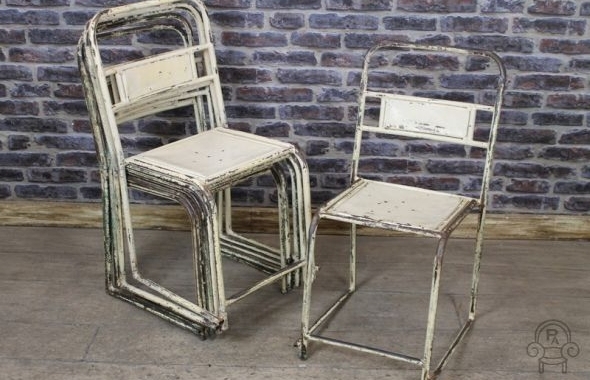 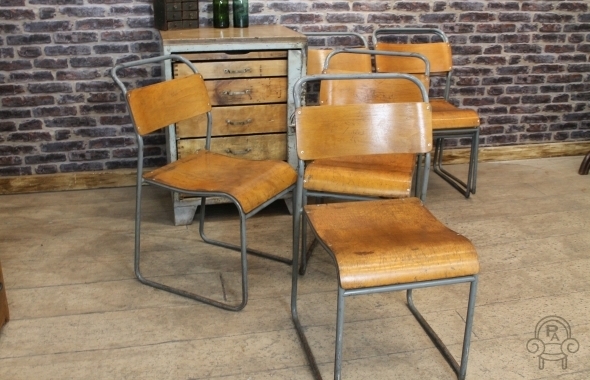 These vintage industrial chairs are full of charm and character, they would be ideal for a cafe, restaurant, bar or domestic space.